The Bulls and the Brooklyn Nets meet again this evening to close out the season series at the Barclays Center. Brooklyn has already captured bragging rights by winning the first two games, the last of which was a 28-point blowout (124-96) Saturday at the United Center. Both Chicago and Brooklyn take to the hardwood sporting the same won-loss records (27-53). Tonight marks the Nets' final home game of the year, as they'll close the season in Boston on Wednesday, while this is Chicago's last on the road, as they finish at the UC on Wednesday against Detroit. In Saturday's contest the Nets came out firing and never backed off, as they established a franchise record in hitting 24 3-pointers on 55 attempts (43.6%). In fact, Brooklyn was just one trey away from tying the NBA all-time mark of 25 trips set by Cleveland last year. Four different Brooklynites connected on at least three downtowners, led by Quincy Acy (6-of-13), Allan Crabbe (5-of-13), Joe Harris (4-of-5) and D'Angelo Russell (3-of-7). On the season Brooklyn, who has now won four of its last six games, ranks 2nd in the league in 3-pointers attempted (2,842) and 3-pointers made (2842), trailing only Houston in both categories. As for the Bulls, they've hit hard times with nine losses over their last 12 games, and going 10-26 over their last 36. A major key for Chicago each contest is their ability to defend and control the boards at both ends of the court. In order for the Bulls to succeed they must establish themselves as aggressors' right from the opening tip. Defensively, they have to sport a scrappy, hardnosed attitude and grab just about every rebound and dive after and fight for every loose ball. To that end, Chicago will need to come out of the gates fast and strong tonight, surpassing Brooklyn's energy from the moment they step onto the court. 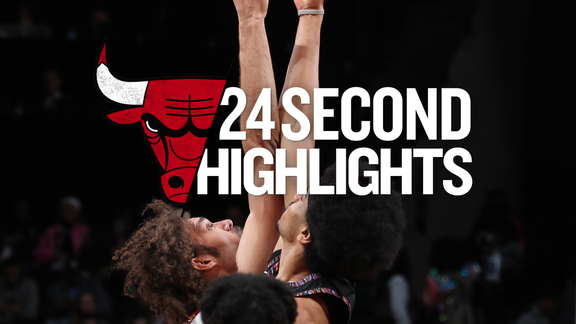 The Bulls are at their best when they play fast and strike quickly. Thus they have to crash the boards and get into transition at every opportunity. In order to succeed the Bulls need to do a good job of sharing the ball, crisply skipping it from one side of the court to the other and from player to player. Much like the Nets will do, Chicago also needs to station shooters all along the 3-point arc to entice the defense to focus its attention onto the perimeter. As soon as Brooklyn steps out of the paint to defend the arc, Chicago's primary ballhandlers — Cameron Payne, Jerian Grant, David Nwaba, Justin Holiday and Sean Kilpatrick, need to go on the attack, driving the ball hard into the paint to force the defense to overreact. If Brooklyn, collectively, slides back down under the hoop and/or attempts to trap or double-team, Chicago's attackers need to adjust on the fly and get the ball to an open teammate on the perimeter for an uncontested shot. By and large, the Bulls look to launch between 85-to-90 shots each game, with 30-or-more coming from beyond the 3-point arc. In order to achieve those objectives they have to play unselfishly by freely moving the ball up the court and force the defense to expend extra energy. Thus Chicago's primary task this evening is to be aggressive and never back off. Defensively they have to show up with a hardnosed mindset, and not grant the Nets free reign at the arc. Chicago has to run Brooklyn's shooters off the bend and force them to slow their pace by physically contesting every shot they attempt. 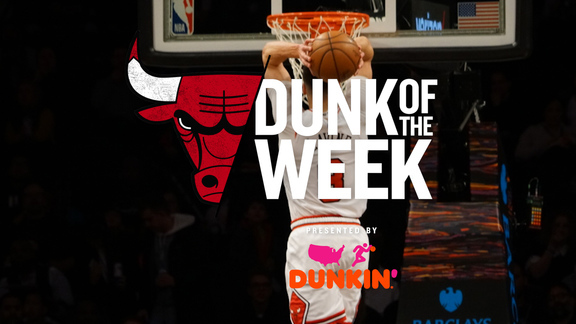 In essence, the Bulls have to commit to outhustling and outworking Brooklyn every step of the way.